As part of my 2014 New Year’s resolutions I set a deadline that if I was unhappy with my life and job in six months’ time I would hand in my notice and start my own thing. This coincided with the amazing experience of visiting Sri Lanka with my late mother; we were privileged to spend a lot of time with Ayurvedic doctors and learned so much about herbs and the power of the food that we ate. Turmeric, as it turns out, is one of the most powerful foods we can consume. 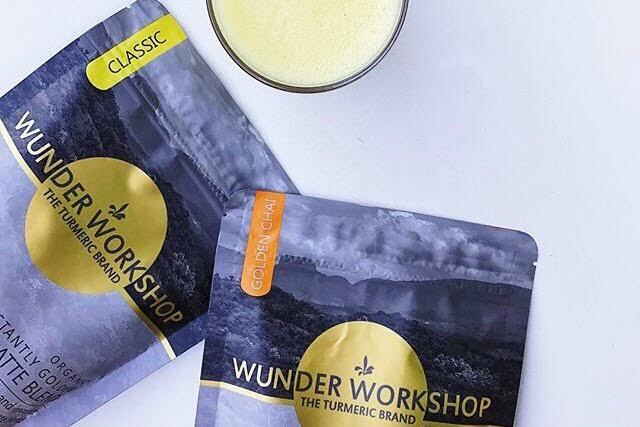 Shortly after my visit to Sri Lanka, I followed through with my initial plan and started Wunder Workshop – piecing together what I had learned about Ayurveda and the knowledge I had gained from my mother, who was a holistic therapist. When I look back, I am grateful for whatever courage resided in me at the time. We have now been trading for 2 years, spending the 1st year on markets across London selling our fresh Golden Mylk (a turmeric, coconut milk based drink). 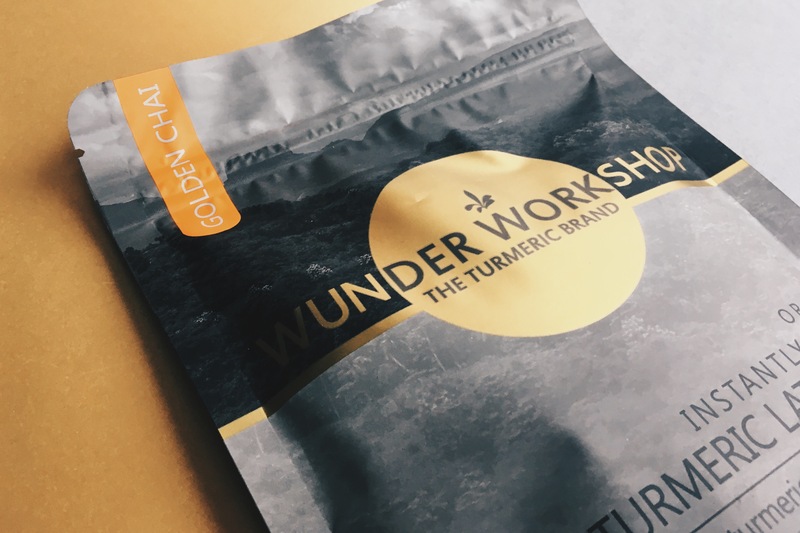 Realising it is hard to sustain a business with a drink that only has a 4 day shelf life, we started introducing our ambient turmeric product range and have been growing organically ever since. I still have to pinch myself at least once a week to realise how far we have come, to see our products in all these incredible shops and cafes is priceless. 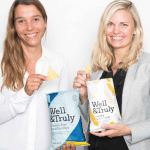 We solely focus on turmeric and its exciting health benefits, we are creating products that make this spice more accessible, so that you don't have to eat curry every day in order to get your turmeric fix. We believe in provenance and organic farming, and therefore import most of our ingredients directly from the source, avoiding as many middle-men as possible. Our beautiful vibrant turmeric is from the fertile and lush soil in the heart of Sri Lanka. When I started creating the idea of Golden Mylk 3 years ago and planning to leave my job, people thought I was absolutely crazy for making a 'curry spiced' beverage with a 4 day shelf-life. It is so interesting to see the growth in the awareness of turmeric over the past couple of years. 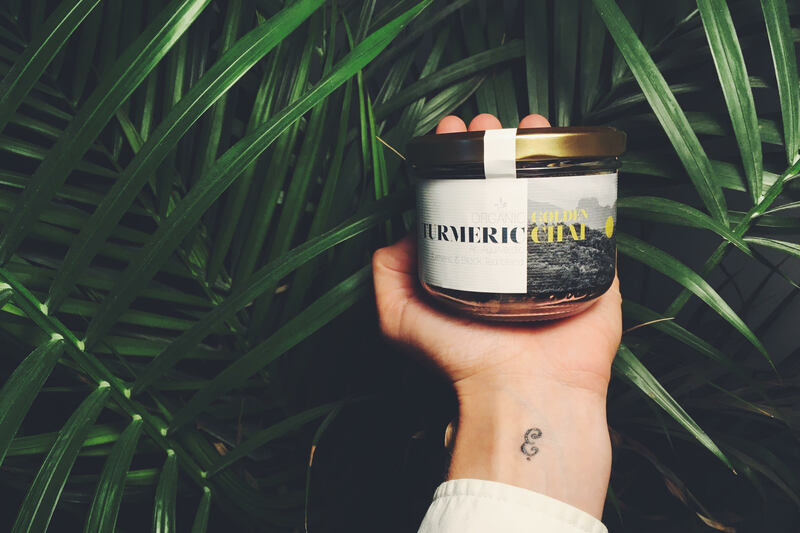 When we fist started, buyers of some of the most well-known health food stores told us that "Turmeric is not a thing" and should be thinking of changing our business idea. Now turmeric has featured in many news articles and magazines which has stirred public interest and therefore I am happy we kept on going! It is so exciting to see that more and more people understand and appreciate our product now and don't think I am just a weirdo. We are now stocked in shops like Urban Outfitters, Le Pain Quotidien, Pod, Content Beauty Wellbeing, CAP Beauty and many more and it is fabulous to see that such an ancient spice with so much traditional wisdom is entering our Western world and even Western medicine. For me the most straightforward element is to have a burning desire to be fully, or at least as much as you can, in control of your own life and happiness. Working for someone else will most likely involve achieving things for their benefit, of course it pays your rent and I don’t want to generalise as every job certainly has its merits. However, I speak to so many of my peers who work their asses off doing work they are not thriving in but just to receive their pay check at the end of the month and then hardly have time to spend their hard-earned money or time to grow on a personal level. If you want to enjoy the NOW and not only think about the next weekend or next holiday, I think you are already a lot closer to the right attitude for starting up your own thing. Being fearless is another important attribute. All that is holding us back from success if often fear: fear of uncertainty, fear of an insecure income, and most often fear of failure. But is so important to actually thrive on these aspects, I find uncertainty and change so exciting and that is what gets me jumping out of bed every morning. Our time on this planet is so short and I think that is why we just need to make the most of all our dreams and desires and just go for it. Thirdly, you shouldn't be in it for the money or material gain. Starting a business, in most cases, won't lead to the next Facebook but will mean a lot of hard work, long hours and getting your hands dirty (in my case bright orange from turmeric!). We started standing in the cold winter outside on markets all day trying to get people's attention after being up all night in a small kitchen making our products and then carry them in suitcases on the tube to markets... Today, we can afford to outsource some of this work and one of our main issues has been keeping up with demand. Obviously this is not necessarily the case for everyone and in hindsight we could have been more efficient, but being able to progress to these such luxuries is already a great and rewarding feeling and I am so happy that I started right at the bottom as it makes you appreciate small gains more. I have never been motivated by money or being able to buy fancy things, and I really think that is what keeps me going as I believe 100% in the business and it excites me so much that I just want to see it succeed more than anything. Our biggest lesson was that one constantly has to rely on other people and businesses. Whether it is issues with the label printers, courier services or other services that you depend on to get things running smoothly. We probably had every possible thing go wrong in the past year or so, which has definitely made life a bit of a roller coaster. 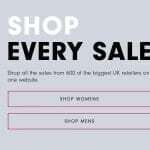 We therefore try and understand and control as many aspects of the business ourselves, whether it is building a website, branding, book-keeping, importing and exporting products from outside of the EU. I find it really important to have an oversight and control over all these important aspects that keep your business functioning and help it growing. Also a huge challenge is the insecure nature of being a start-up. Life just happens and your business depends on your own strength, motivation and wellbeing. A month after I launched my brand my mother was diagnosed with terminal cancer and passed away a year later, so every day during that time and since has needed that extra bit of motivation to keep on going and believing in your own brand and not give up at the first set-back. So it really is essential to live and breathe what you do in order to run a business successfully through life's high and lows. I love connecting with entrepreneurs or anyone thinking about setting up their own business. I love listening, bouncing off ideas and giving any kind of advice that might be helpful. I have been very lucky meeting inspiring young entrepreneurs who shared so much knowledge and experience with me that I feel like I wouldn't ever have gotten as far as we have come today without them. It is still so valuable to meet up with other start-ups and share stories, it reminds you that you are not alone and that whatever worries we have are shared by so many other people. We are always looking to collaborate and connect with like-minded people and brands. So do reach out to if you are interested! We are at a stage where we need to look at raising capital to get us to the next growth stage, so we would definitely like to hear from investors or people who have successfully raised money.